The Self-Revelation Church of Absolute Monism in the United States of America had its beginning in 1920. In that year Swami Yogananda Paramhansa came to Boston, Massachusetts, to represent India at the Congress of Religions. While in this country he formed numerous groups of followers. At Swami Yogananda’s suggestion, some of his followers in Washington, D.C., later invited one of the students at his school in Ranchi, India, to be their leader. 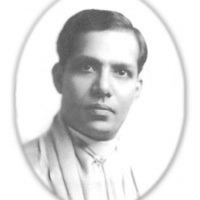 The young man, known then as Brahmachari Jotin aka Swami Premananda, came in 1928 to organize the church. He was in complete charge of its spiritual and administrative activities for fifty years.